I stopped for a moment wondering if what I had just heard was correct. Did I just get offered the meat of a lion in the middle of this market in Mexico City’s historic centre? 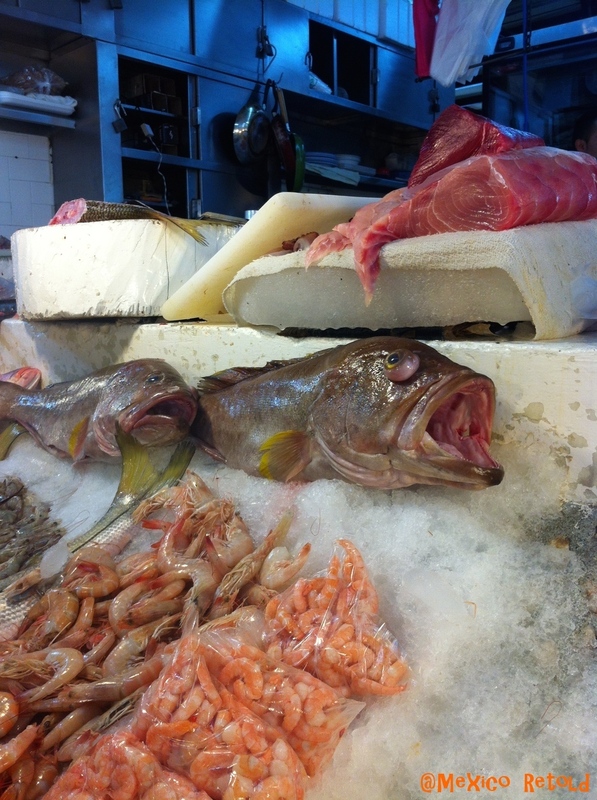 The Mercado de San Juan is often referred to as the market of exotic meats, and rightly so. 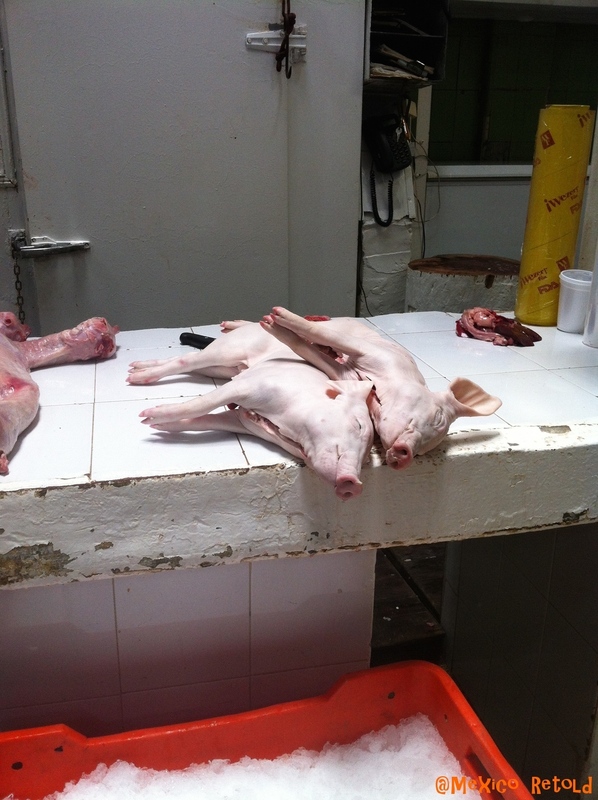 There are lists upon lists of the meat that you can buy there, as well as piles of skinned animals waiting to be sold. And it is not only exotic meats that can be found there, it is also a great place to buy insects, worms and other grubs that make up part of Mexican gastronomy. Obviously the market isn’t for the feint hearted, but a visit there makes for a multi-sensual experience and a good reminder of where our food is coming from. There is also a lot more to the market than just the exotic meats. 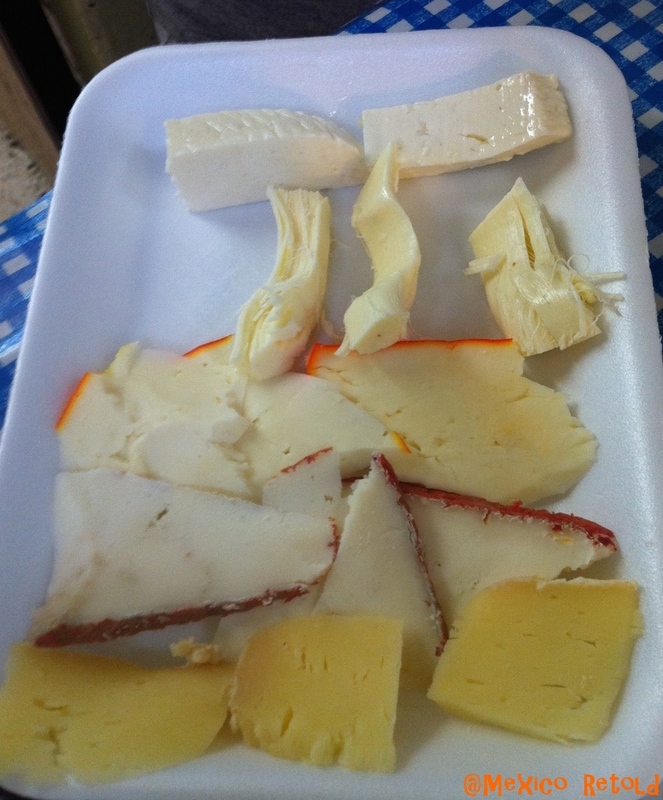 I sampled cheeses from all over Mexico, which were so fresh and delicious, convincing me that Mexican totally holds its own in the world of cheese. 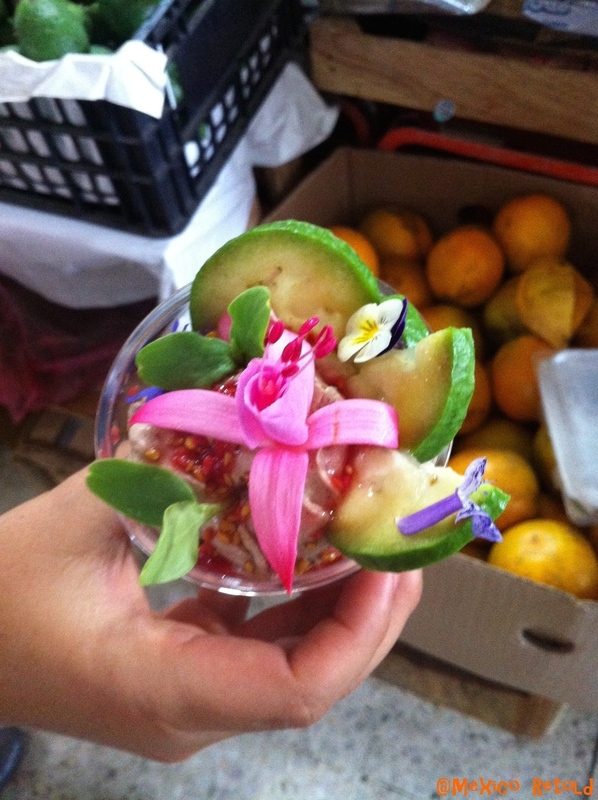 Passing a stall selling some exotic looking fruit and veg, I stopped and was invited to try some edible flowers, many of which were popular in pre-Hispanic times and are now having a renaissance in some of the classiest restaurants in the city. The stall owner gave me a tiny piece of what looked like a root to sample and as I started to chew it my mouth almost exploded with a kind of tingling sensation that felt spicy and intensely hot and cold all at once. My mouth began to go numb and it was then that he decided to tell me that this root has natural anaesthetic properties. To make up for preparing my mouth for root canal surgery, he gave me a chocolate mousse inside an organic red rose. I quickly forgot any annoyance I felt towards him as the gentle flavours of rose mingled with the sweet, creamy chocolate. Next I visited the fish stalls, where the fish’s eyes literally pop with freshness. I was told that the fresher the fish to more their eyes pop. Most of the fish comes from the pacific coast or the golf of Mexico and is brought on ice immediately to Mexico City. 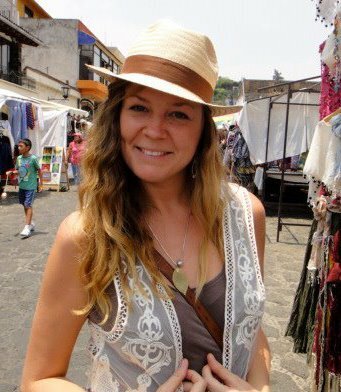 San Juan has all of the joys of a Mexican market, but unlike many, where you have to buy before you try, San Juan is packed with stall owners that are ready to let you sample their wares (for a smallish fee). There are also a few semi-gourmet food stands within the market. 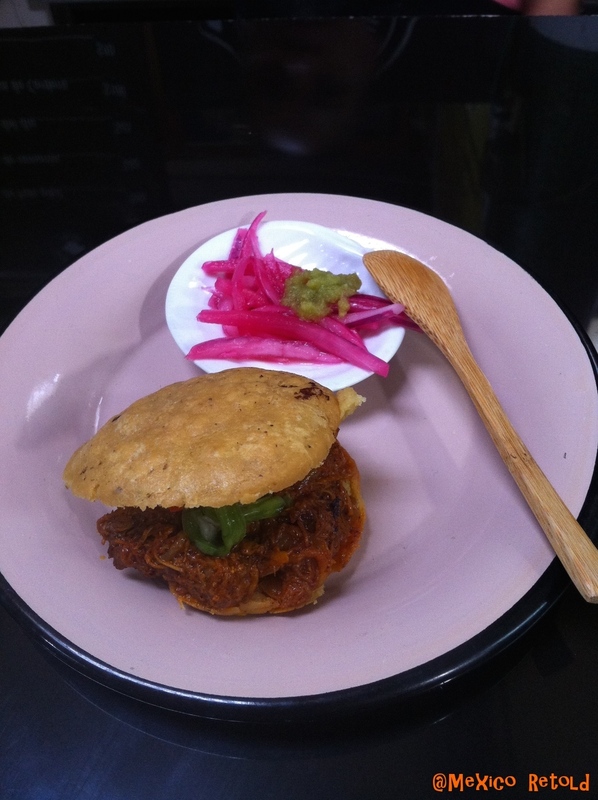 I ate the tastiest, juiciest and crunchiest gorditas de pato pibil, an interesting take on the original pork version), complete with pink onions and habanero chillies. Delicious! San Juan is a food lover’s delight. Go with an appetite and sample everything it has to offer…but maybe leave the lion burger for another day. The market is in the historical center of Mexico City. It is just a few blocks from the main plaza (zocalo) on Ernesto Pugibet street between José María Marroquí y Luis Moya. The nearest metro stops are San Juan de Letrán, on metro line 8 (dark green) and Salto de Aguas, on metro lines 1 and 8 (pink and dark green). Great piece! Especially love the photos! Now I want to go the market as well and sample my way through! Thanks for sharing!